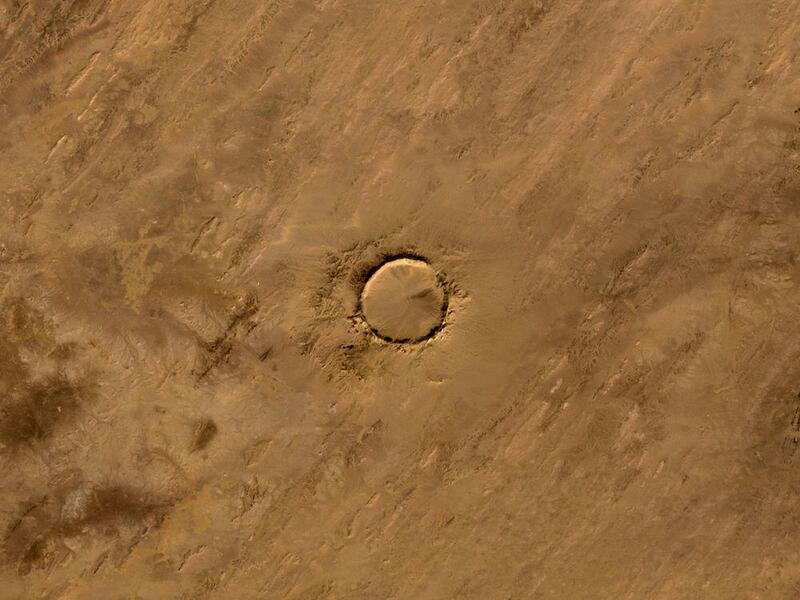 One of the best preserved impact craters on Earth is Tenoumer crater in Mauritania. This 1.9 km wide and up to 110 m deep crater is almost perfectly circular and was created by meteorite in Pleistocene, approximately 21,400 ± 9,700 years ago. 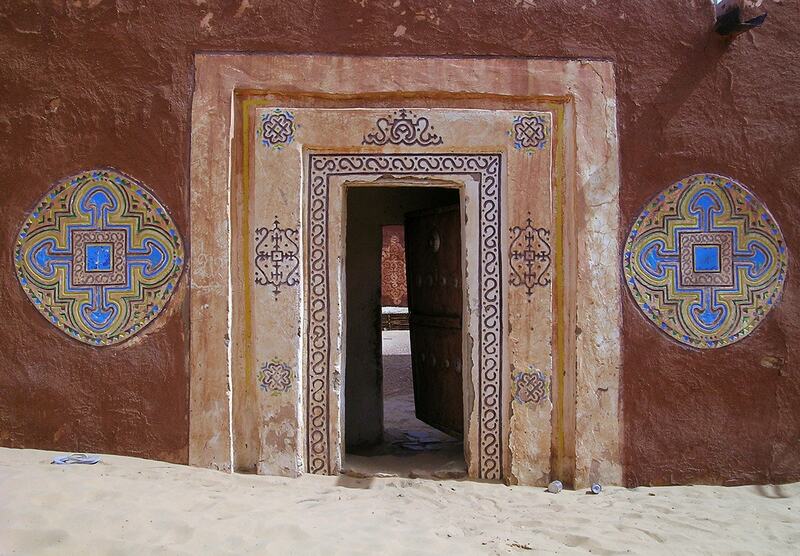 Guelb Tenoumer with its perfectly circular form is well known to local people and also Europeans since older times. 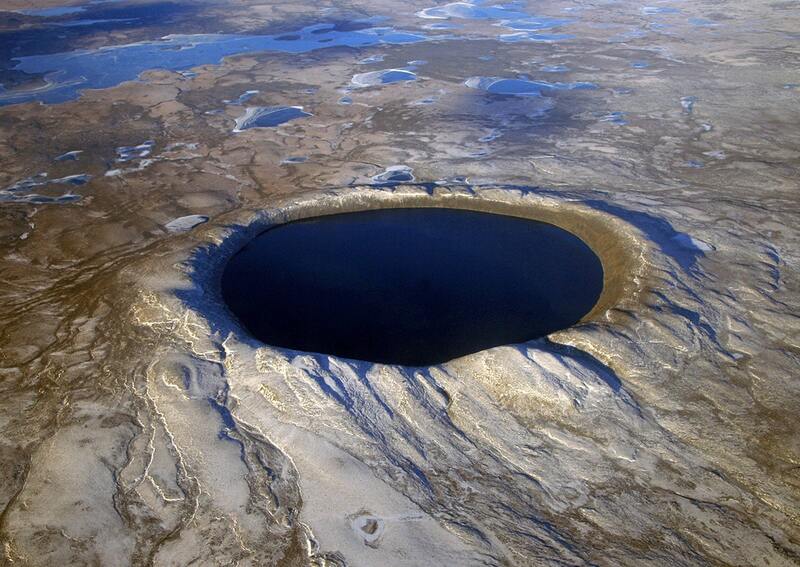 Already in the 1950s scientists started a discussion whether this crater was formed by a volcano or meteorite. At first the scattered rocks similar to basalt and rhyodacite around the crater created an impression the this is an ancient volcano. Convincing proof in the favour of meteorite impact was discovered in 1970, when a key characteristicts of outer impact – planar deformation features – were found in the supposed "lava". Since then it is widely accepted that Tenoumer crater has been created by meteorite impact. Three meteorites at once or three different events? 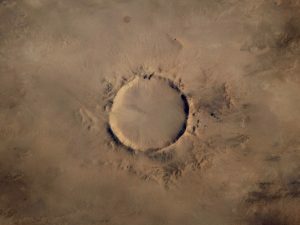 Mauritania has several impressive craters, which are aligned approximately on one line – Aouelloul crater, Tenoumer crater and Temimichât-Ghallaman crater. It is tempting to assume that all three craters were created by one single, catastrophic shower of meteorites. Further investigations though show that this is not true. Aouelloul crater is old – approximately 3.1 million years. Age of Temimichât-Ghallaman crater is not known, there are discussions still, whether this is impact crater. Tenoumer crater is comparatively new – approximately 21,400 years. Diameter of this amazingly circular crater is 1.9 km. Rims of the crater rise some 110 m above the bottom of crater. Research though shows, that this crater is filled with approximately 200 – 300 m thick layer of unconsolidated sediments. 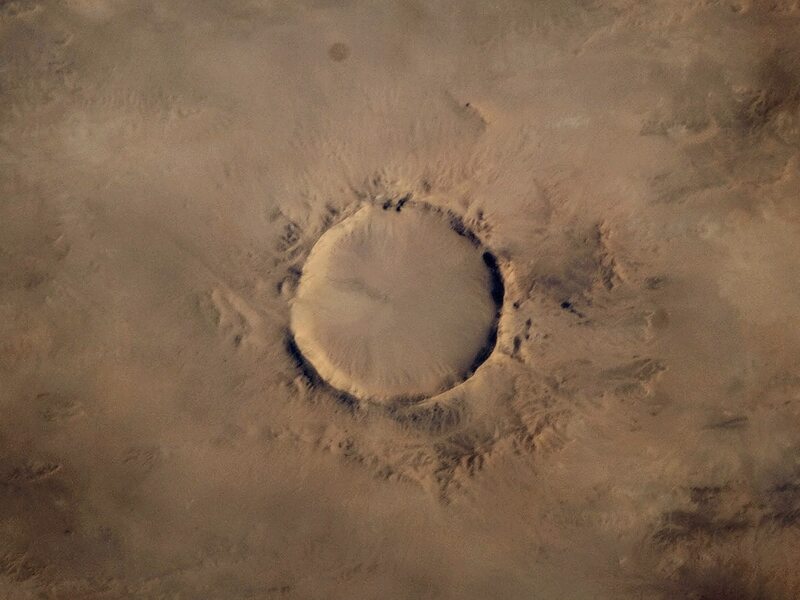 Thus Tenoumer crater is very impressive structure, even larger than the famous Barringer crater in Arizona, United States. Meteorite hit very hard rock – this area is formed from approximately 3.5 billion years old Precambrian gneisses and granites (Reguibat shield), which are covered with thin crust of weathered rock. It is hard to comprehend, how powerful should be an explosion which blasts and melts thousands of tons of such hard stone. Inner slopes of crater are very steep. 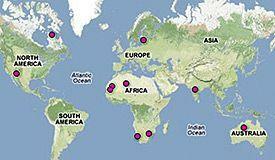 Around the crater, mainly to the east, northwest and southwest, are scattered blasted pieces of melted rocks. These pieces are up to 20 m long and contain small, fractured glass inclusions, also other deformations of rock grains have been observed. No pieces of meteorite, even no traces of it in the surrounding rocks have been found thus far. Storzer D., Sélo M., Latouche L., and Fabre J., The Age of Tenoumer Crater, Mauritania, Revisited. Lunar and Planetary Science XXXIV (2003). Accessed on December 26, 2012.